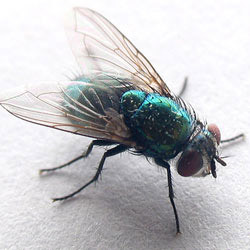 Flies are a winged nuisance pest and are carriers of disease and vectors for pathogens and parasites. Flies are common familiar insects found all over the world. Flies have two pairs of wings and compound eyes. Flies develop from larvae, called maggots. Adult flies are usually a nuisance some distance from the breeding location of the fly larvae. The house fly is the most common type of fly found in and around domestic locations. Flies feed on a variety of material, including decaying or fermenting organic matter. Flies feed on trash and filth and can carry and transmit diseases and pathogens because they regularly land on decaying and rotten materials such as animal waste, sewage, garbage, rotting debris, dead animals and other organic matter. House flies do not bite. Rather, they transmit diseases by landing on sources of pathogens and then landing on food and other areas that come into contact with humans. The most common attractants of flies in Southwest Riverside County are manure, grass clippings, household garbage and animal waste, among others. Fly problems typically begin outdoors and make their way inside through doors and windows. Always try your best to minimize any of these items which may be help create an environment the flies love to make home. 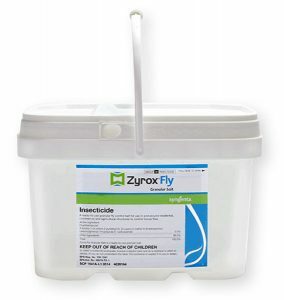 Fly treatment services are available on a One-Time basis or as part of an ongoing Monthly Fly Control service. An exterior fly control service can be added to your regularly scheduled maintenance plan. If your property is infested with flies frequently, our service technician will advise of the best course of action for controlling your fly problem. How to Get Rid of Flies? 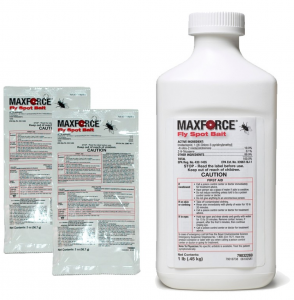 Effective fly control can be further improved with the assistance of our customers. Below are a few tips a homeowner can perform to reduce the likelihood of a fly infestation. Sanitation – Clean food preparation areas and do not let food build up in hard to reach locations. Remove Trash – Dispose of garbage frequently and keep trash receptacles tightly closed. Remove Animal Waste – clean up after your pet regularly. Secure Your Home – ensure that screens are properly fitted. Replace and/or repair broken or missing screens. Check windows and doors for gaps and holes. Garden/Landscape Maintenance – remove unharvested rotten fruit and clear vegetation from gardens and yards. Contact your fly service experts at AmeriGuard Pest Defense for a fly treatment quote. Most quotes for residential fly services can be provided over the phone without any obligation. AmeriGuard Pest Defense’s Fly Maintenance Program will help to reduce current flies as well as help prevent a future fly infestation. No contracts required! Remember to call AmeriGuard today at 951-652-0505.